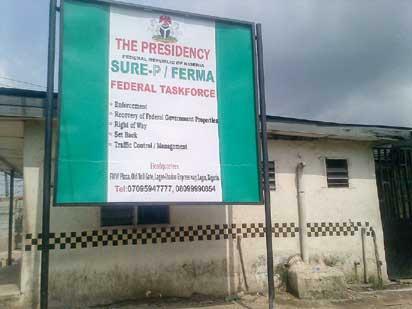 Uyo—THE Federal Roads Maintenance Agency, FERMA, yesterday, said it had begun re-constructing the failed portion of Essene–Edemaya road in Ikot Abasi Local Government Area of Akwa Ibom. Mr Nkereuwem Asuquo, the engineer in charge of Federal Roads in the state, made this known to newsmen while inspecting the construction site. He blamed shoddy construction for the failure of the previous interventions on the road. Asuquo expressed optimism that the road construction would be completed within two weeks, noting that the re-constructed road would be durable. According to him, the agency is also carrying out vegetation control on the Ikot Ekpene–Itu/Cross River border road. He said: “We are working on the Essene spur to Edemaya. The reason we chose that road is because of the main alignment from Abak to Ette. There is a collapsed culvert and we know that road is a very busy one because it takes a lot of heavy vehicular movement. Most of those heavy vehicles take materials from Akampa to most parts of the state and even Port Harcourt. “There is a collapsed culvert at a point, and most vehicles now take a diversion through the Essene spur to Port Harcourt and that portion is very bad too. The road which serves as a link to the East–West road is the only alternative route from Akwa Ibom to Rivers but has been closed to traffic because of on-going repair work on some failed portions of the road. Also, Mr Sola Omimago, the Site Engineer supervising one of the failed portions of the road by Akama Catholic Girls High School, Essene, said underground water was responsible for the frequent collapse of the road. He said that the removal of underground water and the excavation of 1.5 metres of soil from the bad portion of the road had solved the problem of the road. The post FERMA reconstructs bad portion of East-West link in A-Ibom appeared first on Vanguard News.